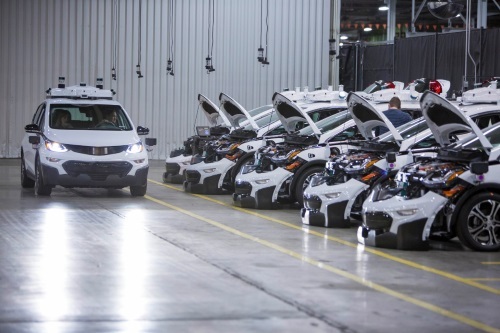 Motor vehicle safety standards, communication technology, and regulations governing the operation autonomous vehicles were among the key policy issues the American Association of State Highway and Transportation Officials addressed in three letters sent to the National Highway Traffic Safety Administration, Federal Communications Commission, and the USDOT’s Office of the Secretary, respectively, on Nov. 26. AASHTO’s letter to the FCC concerns that agency’s effort to open up the 5.850 to 5.925 GHz dedicated short-range communications or DSRC band to broader usage by “unlicensed” devices. The group added that DSRC is also currently a crucial component in the safe operation of autonomous vehicles; a communication channel allowing self-driving vehicles to communicate with one another and the infrastructure around them, such as traffic signals. Finally, AASHTO’s letter to USDOT provides feedback on the agency’s third guidance update for autonomous vehicles issued on Oct. 4. Officially entitled Preparing for the Future of Transportation: Automated Vehicles 3.0 or AV 3.0 for short, it builds upon but does not replace the voluntary guidance USDOT provided in its Automated Driving Systems 2.0: A Vision for Safety issued on Sept. 12 last year. Another major issue confronting state DOTs where CAVs are concerned is how to pay for infrastructure upgrades those vehicles will require.